Dimensions	26 x 18 x 12 cm / 10.20" x 7.10 "x 4.70"
So far mankind has invented three noteworthy ways to carry field essentials: on the back, over the shoulder, or around ones hips. 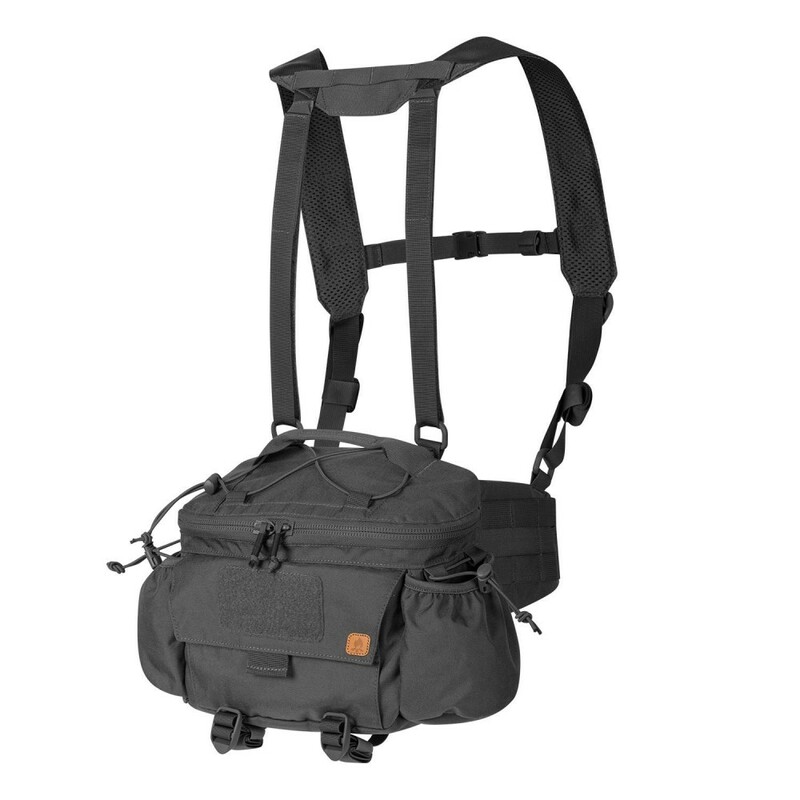 The backpack allows the heaviest loads to be carried, but shoulder bag gives faster access to the contents, while belt rig sort-of combines them both. For long hikes over uneven terrain, belt-carry is the wisest solution. It does not distort the body thermal regulation, spreads the load evenly, saving backbone, and all items are within quick reach. The Foxtrot MkII Belt Rig can be worn as a stand-alone item or be worn with functional suspenders. The design is easily adjustable in all ranges. The Foxtrot comprises the main compartment with open-top sewn water bottle pockets, a partial belt at sides with MOLLE/PALS attachment points for modular pouches (med kit, knife pouch, cargo pouch etc.). ALICE and other 50-mm ribbon tapes based pouches can be attached. The main compartment comprises two zippered pockets with a velcro-closed one on the front. Additional Versatile Insert System-compatible inserts can be added within the main compartment. Rolled poncho or thin seating mat can be held under the top-of-the-pocket rubber band – or under the compression ribbons at the bottom. Suspenders are easily-adjustable with velcro at the back, they stabilize the load and spread the loads all over the wearer’s frame. Foxtrot MkII is an ideal solution for Nordic Walking-style hikes. MOLLE/PALS system with channels for knife/saw/axe etc.